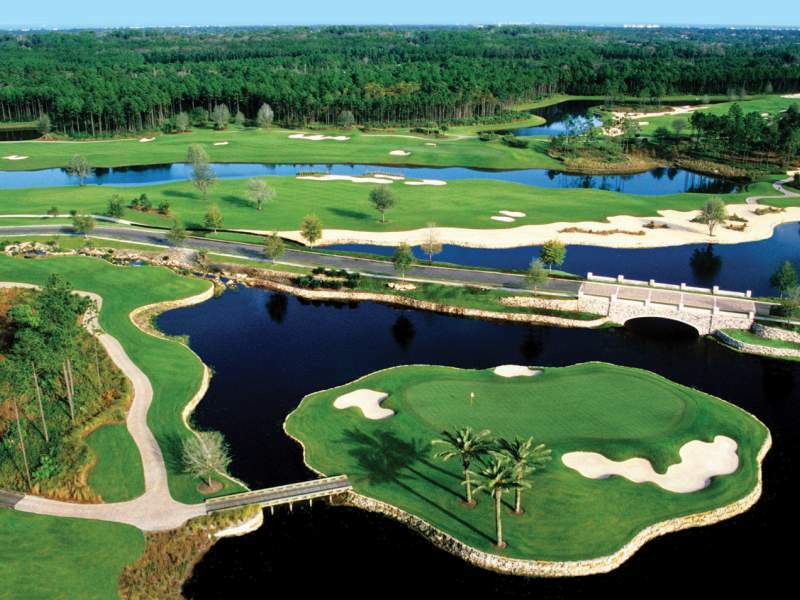 The Conservatory Course at Hammock Beach has nearly 76 acres of man-made lakes and three water features. Two Carolina-style creeks wind next to the greens and a large stunning waterfall serves as a natural water treatment system. With six tee boxes at each hole, the furthest playing at 7,746 yards, the course will accommodate all skill levels. 140 bunkers of coquina shell & white bunker sand dot the course. Watson also added three sod-faced bunkers, a nod to his affinity for British links-style golf.